Who says smartphones are the only hot craze right now? Smartwatches are beginning to make a buzz, these types of gadget are among the points of interest for tech enthusiasts today. These watches revolutionized the wrist-worn devices that are in the market at present. Majority of the watches today are Bluetooth-tethered for smartphones, and they’re either used to accurately track fitness progress or some form of notification center. People still need to carry two gadgets at the same time, which is an inconvenience.. Enter the Neptune Pine smartwatch. What makes this smartwatch so cool? Keep reading. The Pine smartwatch is considered as the “most connected independent” type of smartwatch by Neptune. The project has gathered almost $250,000 from 979 backers (and rising) surpassing their initial goal of $100,000. According to the manufacturer, this is the only gadget that a person ever needs. When it comes to smartwatches, Neptune Pine dominates the food chain. 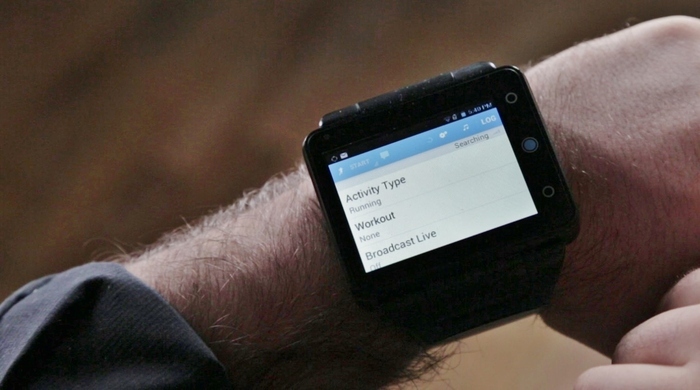 It offers a bunch of cool features, compared to the other wrist-worn devices that are in the market. You don’t even need to carry your smartphone all the time. Suffice to say, Neptune Pine is the reinvented version of conventional smartwatches. Below are some of the remarkable features of Neptune Pine smartwatch. Just by looking at the features, one could ascertain that this smartwatch is indeed smart. 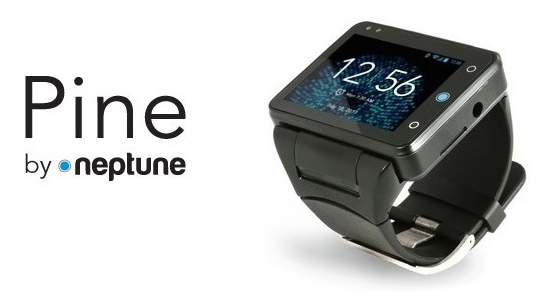 The Neptune Pine smartwatch enables the user to make, as well as receive phone calls. 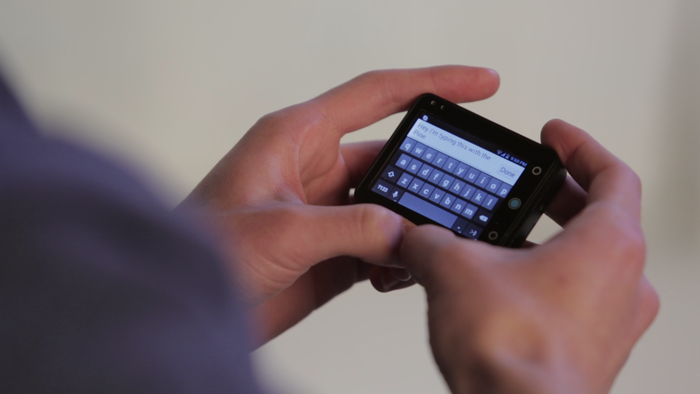 It also allows the user to send text messages on majority of mobile carriers around the world. 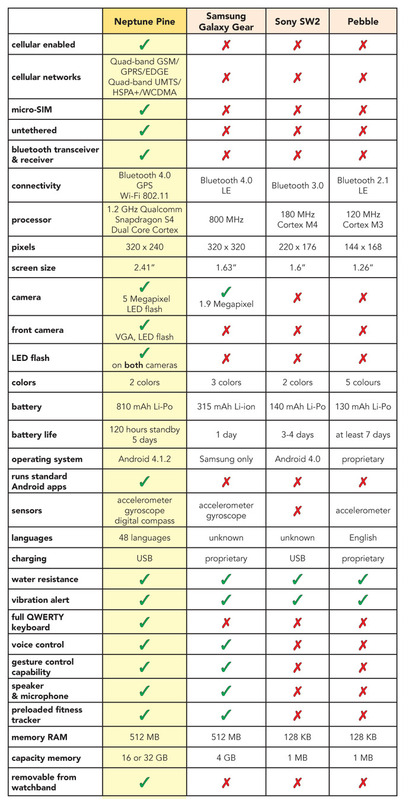 These are all possible because of Pine’s complete standalone support, specifically for quad-band, EDGE/GPRS/GSM, as well as quad-band WCDMA/UMTS/HSPA+. According to those who already have Neptune Pine, typing on it is as simple as typing on a typical smartphone. The most common complaint about typical smartwatches is that the screen is too tiny; users are having a difficult time typing on it. Pine can truly outdo and outsmart the other smartwatches, especially if you’ll use the Pine Sports, since it has a 2.4” capacitive touch display. This could facilitate complete QWERTY keyboard display. Thus, typing on Neptune Pine is as easy as breeze, easy as typing on smartphones. Yes, Neptune Pine has Wi-Fi and 3G, allowing the user to browse conveniently. Therefore, users can even check their different social network accounts, watch a variety of YouTube videos, and check email messages, as well as local weather, and a whole lot more! If you’re looking for a smartwatch that could render complete web experience, you should go for Neptune Pine smartwatch. Neptune Pine has a lot more features aside from the above mentioned. Want it? There are still some spots left for early buyers so better hurry!